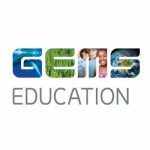 GEMS Al Barsha National School for Girls, Dubai, is relatively new school which opened in September 2016. It offers an inspirational curriculum based on the National Curriculum for England with Arabic language and UAE culture, heritage and tradition at the heart of everything. As an all-through educational provision, the school currently caters for children from FS1 to Year 10 with plans to grow to Year 13 in successive years. FS provision is co-educational and Y1-10 is girls only. FS boys from GEMS Al Barsha National School for Boys are educated in the girls campus. The school enjoys a prime location making it easily accessible to everything that Dubai has to offer as well as other Emirates. As well as being a fabulous place to work, Dubai is a vibrant, cosmopolitan, rapidly expanding city where the sun shines all year round. Here in Dubai you will enjoy an excellent lifestyle as well as extensive travel and leisure opportunities around the region and further a field. Due to continued expansion we are looking for an outstanding Primary teachers to join our existing team in September 2018. The successful applicant will be excited to join our world class schools and are driven to provide education at an exceptional level. GEMS teachers enjoy an outstanding school environment in which to deliver a dynamic and creative curriculum to motivated students. Applicants should have solid and demonstrable experience in EYFS, KS1 or KS2 teaching in a UK National Curriculum school and be a fully qualified teacher with at least 1 year post qualifying experience. You must have the desire to provide Outstanding teaching and learning and aspire to work in a world class school with real prospects for enhancing their career.